Comeback themes has been purchased 131, rating: 4.58/5 based on 12 reviews. Comeback is a Shopify theme that fits in with e-shops, cameras, computers, fashion, jewelry, etc. Developed by Tvlgiao, Comeback can respond on any device and it is a completely customizable theme thanks to its flexible control panel. 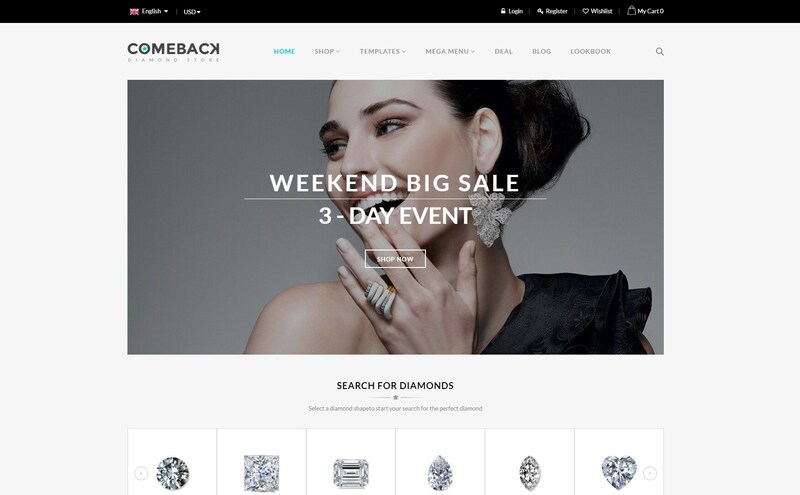 Comeback comes with tons of powerful modules such as SEO, Ajax technology, Mega Menu, Slideshow, Blog, Layered Navigation, Revolution slider, Quickview, etc which help improve the shopping experience for our customers. What’s more, Comeback includes more than 10 home page options. That’s great! © Copyright 2019 by Avada Commerce. All Rights Reserved.